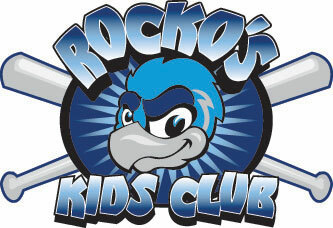 June 13, 2010 - LOVES PARK, Ill. – Sunday’s game between the Rockford RiverHawks and the Joliet JackHammers has been postponed due to inclement weather in the Stateline area. The game will be made up at 6:05 p.m. Tuesday, August 10 as a doubleheader. Tickets for Sunday’s game will be treated as rain checks. They may be exchanged to any remaining regular-season home game. The RiverHawks head the Schaumburg for the next three games, beginning at 7 p.m. Monday. The RiverHawks host Olympian Jennie Finch and the Chicago Bandits of National Pro Fastpitch, a women’s professional softball team, in the Battle of the Sexes at 7:05 p.m. Thursday. It’s a Miller Lite/2nd Cousin’s Dollar Beer Night. The RiverHawks are members of the Northern League, an eight-team independent professional baseball league that will play its 18th season this summer. The RiverHawks’ ninth season begins at 7:05 p.m. May 20 against the Schaumburg Flyers at Road Ranger Stadium. Advertising and ticket information is available by calling (815) 885-2255. Games are broadcast live on ESPN 1380 (WTJK-AM) and on ESPN1380.com. Fans can also visit the RiverHawks online at www.rockfordriverhawks.com.